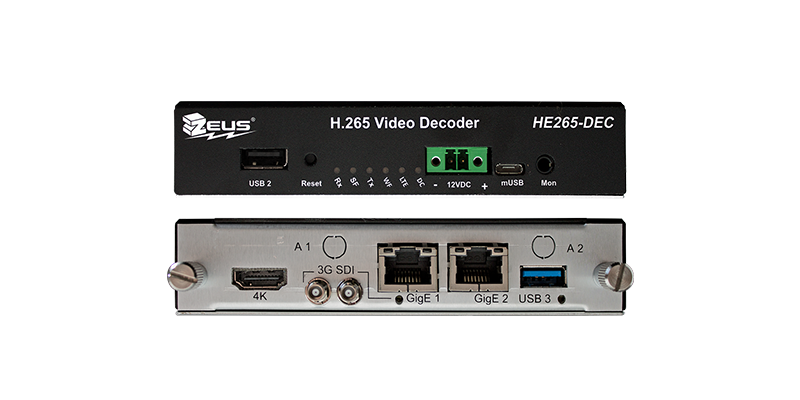 The HE265-DEC is a compact video decoder that is capable of decoding high efficient H.265 video in resolutions up to 4K. Featuring 3G-SDI and 4K HDMI outputs, the HE265-DEC can be quickly integrated in to a variety of solutions. This new decoder is a cost-effective system that is the ideal 4K decoding solution for industrial video, security and remote monitoring and video distribution.